Photos. Archives. Membership. News & Information. Miner's List. Fame, facts & Your Story. The 2,500 copies that were originally published and released on the 10th September 2005 were sold out by the end of that month. However the demand for this publication from around the British Isles and the world has been so great that the book is now in its 5th reprint copies are available now. The reprint books will be price at £15.00 per book (plus £7.00 UK p&p, please email for Worldwide mail orders) anyone who requires a copy of this excellent book should contact the CCMHS through enquiries@ccmhs.co.uk. 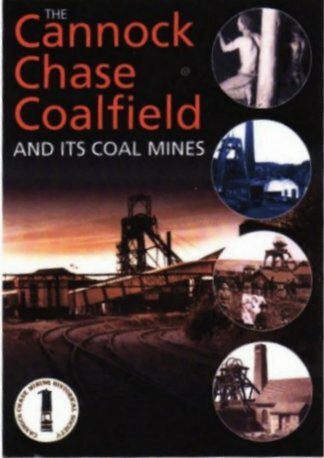 We now have available the series of books listed below to compliment the main book, these contain much more information on individual collieries that are featured in "The Cannock Chase Coalfield and its coal mines" book. The book contains all the original text but is packed with all the facts and fascinating details that were not contained in the original book. On Tuesday 8th August the wife and family of the late Graham Warburton who was a founder member of the CCMHS & primary author of the Lea Hall book were invited to the Museum of Cannock Chase by the CCMHS. At a short reception attended by the committee of the society and invited guests Mrs Mavis Warburton was presented with a copy of her husbands book by MR Ken Edwards who completed the work after Grahams untimely death. Other family members look on whilst admiring their copies of the book. flooding of 100 years ago. The 12th book in this series it has 146 pages, many new photographs and has taken 6 years to research and put into print. It also includes a full chapter on the Birmingham Canal Navigation's Cannock Extension Canal. 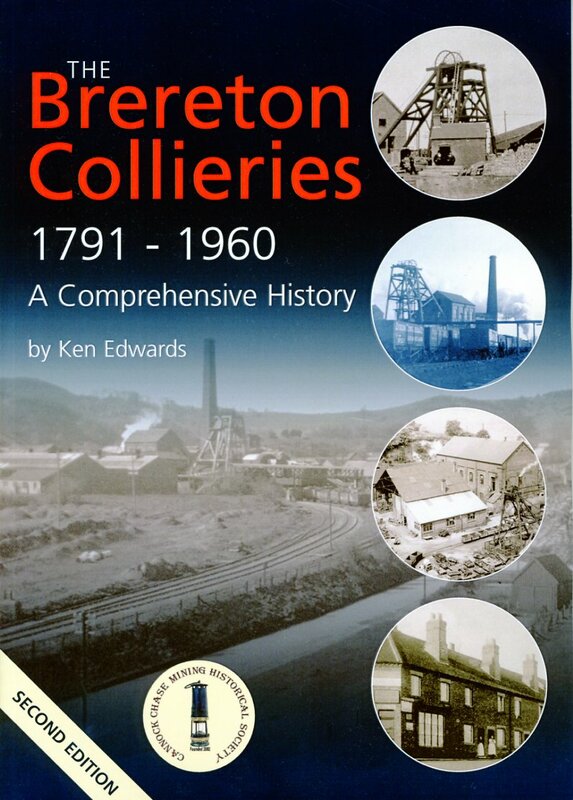 A fascinating book which will dispel many of the myths that belong to this little know colliery company and a must for your collection. The 1st edition of this book has been replaced by this the 2ND EDITION publication, which has additional pages telling more of the stories of this community life in ex-army barrack huts that were erected around the Cannock Chase district after the end of World War 1 until the last families left them in the late 1960. A fascinating insight into community life during that period and well worth having in your collection. has finally arrived all 196 pages of it and after almost 9 years of research. The book does cover West Cannock No.5 Colliery to it's closure in 1982. Priced at £10.00 + £4.00 1st class p&p or 2nd class at £3.50 p&p this book is exceptional value. Books can be obtained from Alan by emailing westcannock@talktalk.net or calling 01543 275638. This the16th mining publication by the Cannock Chase Mining Historical Society. We have in fact now published 18 books if we include the two on "The Hutment Communities". "The Lesser Known Coalmines of the Cannock Chase Coalfield” by MICK DRURY is a very involved book which has taken a vast amount of research and time by Mick. We at the society believe it does not have a parallel in any other coalfields publications (only our opinion) and are very proud to be able to publish this book for Mick. He should also be proud of his achievement in producing such a volume and record of the mines that have been forgotten by almost everyone in the area's that these small mines were worked. The book is priced: £10.00 + p&p. to obtain your copy contact Alan Dean on: westcannock@talktalk.net or enquiries@ccmhs.co.uk. THE CCMHS THANKS MICK DRURY FOR ALL HIS EFFORT, TIME AND PATIENCE IN PRODUCING THIS BOOK WE KNOW HE HAD MANY SETBACKS AND FRUSTRATIONS DURING HIS RESEARCH. "CANNOCK OLD COPPICE" later "HAWKINS COLLIERY COMPANY Ltd"
narrative - the Colliery, the family and the village". The CCMHS would also like to thank MICK LUCAS our editor & JOHN GRIFFITHS our publisher who have worked tirelessly to produce a great series of historical reference books, THANK YOU BOTH. The LAST Cannock Chase Mining Historical Society publication is an autobiography and is now available now available. This book was the one that started the CCMHS way back in 2002. It was the reason that the group of men later to become the authors of the Cannock Chase Mining Historical Society, met in the first place. When Mick Drury called that fateful meeting at the Museum of Cannock Chase to discuss his dream of putting down on paper his work history from the time he started work at Littleton Colliery in 1951 to his leaving there in 1989. It has taken him 16 years of on and off writing and lots of pushing and prodding to eventually get to publishing. It is a fascinating read from start to finish and I was impressed to say the least on reading the manuscript. The society had no problem at all agreeing to publish this 200-page volume. It was originally to be his memoirs to leave to his family as a record for them. It was never intended to be put into the public domain for everyone to enjoy. However after many hours hard work and with failing health and encouragement by a few people Mick has realised his ambition from 2002, its here for all to read ”Boots all my life”. The book is priced: £14.00 + p&p. Museum of Cannock Chase, Valley Rd, Hednesford, Staffs, WS12 1TD. Telephone: 01543 877666.